FREE NARS Eye Pencil Sharpener! 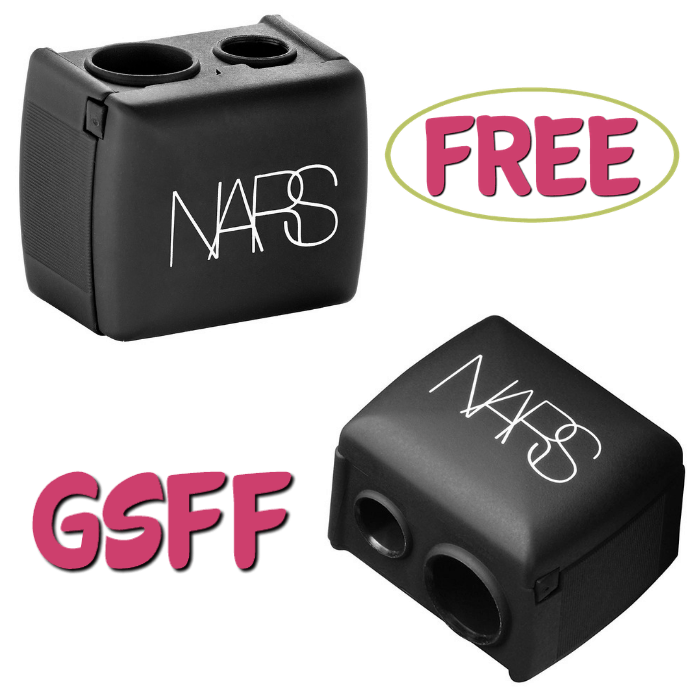 You are here: Home / FREEbies / FREE NARS Eye Pencil Sharpener! Do you know the secret to a more professional and precise makeup application minus the stress and the time? A pencil sharpener like the NARS Pencil Sharpener! Don’t miss the chance to grab this FREE NARS Dual Blade Pencil Sharpener from Sephora for new TopCashBack members! The NARS custom-designed pencil sharpener is the essential tool for sharpening pencils of every size to deliver a more professional and precise makeup application. Can sharpen pencils of every size. Comes with a removal adaptor that allows you to adjust the size to fit, even the largest pencils. Includes a blade cleaner and cover to capture the shavings. Not to bulky and can fit your makeup kit. Spend at least $6.00 or more via this special link —> TopCashBack and get $6.00 in cash back! Add at least 1 “NARS Eye Pencil Sharpener” priced for $6.00 to your cart then shop as normal and checkout. You must spend at least $6.00 to get this deal. If the price changes or anything happens to the stock, the deal is officially over. Pay $6.00 or more. That’s it! The $6.00 will post to your TopCashback account within 14 days, and the amount will become payable within 14 days. Cash back can be credited straight to your checking or PayPal account. Note: Transactions must contain at least $6.00 worth of purchases to ensure the $6.00 cash back is credited to TopCashback accounts. Transactions may initially track lower, but within the 14 days after purchase it will be uplifted and turn payable at the amount of $6.00. Transactions may take up to 7 days to appear in your TopCashback account. The deal is open until 11:59pm PST on 12/26/2018 or until supplies run out; whichever happens first; applicable for purchases made directly after clicking through TopCashback. Only one TopCashback account is permitted per member.